Graduation in “Medicine” (Lisbon University, Portugal 1986), “Senior Consultant” in General Surgery. Morbid obesity diabetes surgery, gastro-esophageal reflux, gastric diseases, colo-rectal pathologies, hernia surgery, laparoscopic surgery and SILS pioneer in Portugal. Performing SILS sleeve and gastric bypass on a regular basis. Coordinator / Director of the: “Centro Multidisciplinar da Doença Metabólica” (CMDM) at the “Clínica de Santo António - Lisboa”. Clinical Director of the Lasercenter Lda, a private Health care company in Portugal. Former Coordinator / Director of the: “Unidade de Tratamento Cirúrgico de Obesidade e Doenças Endócrinas (UTCODE) at the “Centro Hospitalar de Lisboa Central”. Faculty at “Centro de Cirurgia Minima Invasion Jesus Usón” courses, CCMIJU – Caceres, Spain. Developing and proceeding with “Clinical immersion courses” for European surgeons in our Hospital. Several presentations on TV, radio and newspapers in Portugal about Obesity and diabetes surgery and SILS. Member of the Scientific Advisory Board of the High Tech Surgery Association (HTC). Member of the Board member of the MGB/OAGB Club. 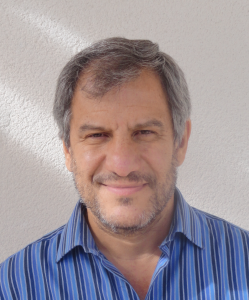 Reviewer of the journals “Acta Médica Portuguesa”, “Revista Portuguesa de Cirurgia” e “BMI”. Honorary member of the “Romanian Association for Endoscopic Surgery”. Member of the Sociedade Portuguesa de Cirurgia (SPC). Member of the Sociedade Portuguesa de Cirurgia de Obesidade (SPCO). Member of the International Federation for the Surgery of Obesity (IFSO). Member of the Sociedade Portuguesa de Cirurgia Mini-invasiva (SPCMIN). Member of the International Bariatric Club (IBC).